Royal Canin was founded in 1967 by veterinarian Jean Cathary in France. It has spread its root from France to all across the world. His motive was to develop a range of pet products that is based purely on science to suit the individual requirement of your individual pet. They wanted to develop cat and dog food that will help to satisfy the needs of your pet as well as their pet owners. There have been many dry pet food brands introduced in the market ever since the inception of Royal Canin but they still remain the leaders when it comes to pet nutrition and palatability of food. 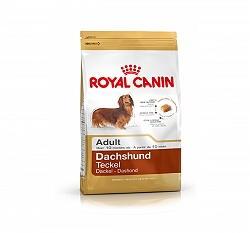 Royal Canin Dog food is formulated in coordination with breeders and veterinarians. There are continuous research carried in the French facility of Royal Canin to introduce perfect food to cater to each individual requirement of all cats and dogs. Royal Canin believes that pets are not like people, they have unique nutritional requirements which are very different from humans. There is a premium health nutrition line of food that is especially formulated for all cats and dogs such a specific formulated food for high energy dog requirements. The food developed by Royal Canin is more specific than other brands as it is based on the size, age, lifestyle and breed of the specific cats and dogs. The prime motive of the brand is to improve the life of all the dogs and cats that feed on this specialized food and to increase their life span. 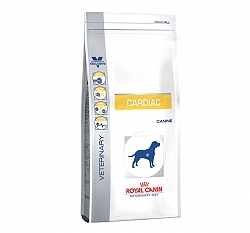 Each of the individual Royal Canin dog food diet have been formulated with a mix of over 50 nutrients that will be perfect to satisfy the nutritional needs of all cats and dogs of different sizes, ages, breeds and lifestyle. The other unique aspect of Royal Canin is the science they put in to making the perfect kibble shape and size for each of their products. Every specific range has a different kibble size to facilitate the pet to eat easily, while maintaining its dental health, ensuring satisfaction and palatability as well. Royal Canin aim is to make continuous improvements to the range available and always keep the policy of Pet First, which focuses on developing food that is beneficial for your pet and allows them to live a long and healthy life.